The latest Chesterfield magistrates’ court results as published in the April 27 edition of the Derbyshire Times are listed below. Graeme Raymond Crouch, 60, of Scarsdale Street, Bolsover. Pleaded guilty to exceeding the alcohol drink-drive limit. Fined £120 and must pay a £30 victim surcharge and £85 costs. Disqualified from driving for 24 months. Admitted committing an offence while subject to a two-year conditional discharge for a sexual assault. No action taken on the breach. Stephen Lee Brown, 41, of Elms Close, Alfreton. Pleaded guilty to driving when the proportion of cannabis in his blood exceeded a specified limit. Fined £350 and must pay a £35 victim surcharge and £85 costs. Disqualified from driving for 18 months. Felicity Samantha Lumb, 29, of Bright Street, South Normanton. Pleaded guilty to exceeding the alcohol drink-drive limit. Community order to last until April 17, 2018, with a Rehabilitation Activity Requirement and 80 hours of unpaid work. Must pay an £85 victim surcharge and £85 costs. Disqualified from driving for 22 months. Emma Yasmin Brown, 26, of Yarncliffe Close, Loundsley Green, Chesterfield. Pleaded guilty to exceeding the alcohol drink-drive limit. Fined £300 and must pay a £30 victim surcharge and £85 costs. Disqualified from driving for 16 months. Jordan Glyn Harris, 20, of Thickley Bank, Langwith Junction. Pleaded guilty to exceeding the alcohol drink-drive limit. Pleaded guilty to driving when the proportion of cocaine in the blood exceeded a specified limit. Pleaded guilty to driving when the proportion of the drug benzoylecgonine exceeded the specified limit. Committed to prison for 14 weeks suspended for 12 months with a curfew for eight weeks. Must pay a £115 victim surcharge and £85 costs. Disqualified from driving for three years. Indicated a guilty plea to possessing cocaine. No separate penalty. Abbi Mann, 35, of Danby Avenue, Chesterfield. Pleaded guilty to exceeding the alcohol drink-drive limit. Committed to prison for 20 weeks suspended for 24 months. Must pay a £115 victim surcharge and £85 costs. Disqualified from driving for five years. Colt Severn, 19, of Stanley Avenue, Chesterfield. Pleaded guilty to exceeding the alcohol drink-drive limit. Fined £350 and must pay a £35 victim surcharge and £85 costs. Disqualified from driving for 16 months. Trevor Isaac State, 71, of Stinting Lane, Shirebrook. Pleaded guilty to exceeding the alcohol drink-drive limit. Fined £300 and must pay a £30 victim surcharge and £85 costs. Disqualified from driving for 12 months. Georgina Joan Dobson, 20, of Cauldon Drive, Holme Hall, Chesterfield. Indicated a guilty plea to possessing a controlled class B drug. Fined £120 and must pay £85 costs and a £30 victim surcharge. Ariel Maciej Topa, 28, of Main Street, Shirebrook. Indicated a guilty plea to possessing cocaine. Discharged conditionally for two years. Must pay a £20 victim surcharge and £85 costs. Maurice Ralph Flaherty, 54, of Alfreton Road, South Normanton. Pleaded guilty to resisting a police constable. Fined £80 and must pay a £30 victim surcharge and £85 costs. Adam Arron Holmes, 35, of Castle Drive, Somercotes, Alfreton. Found guilty of going to an address which he was prohibited from doing by a restraining order. Pleaded guilty to being found at an address which he was prohibited from being at by a restraining order. Found guilty of assault. Must pay £100 compensation. Pleaded guilty to being in contact with someone which he was prohibited from doing by a restraining order. Pleaded guilty to sending texts to someone which he was prohibited from doing by a restraining order. Committed to prison for ten months. Mark Andrew Hewitt, 34, of West Lea, Clowne. Indicated a guilty plea to having an lock knife in public without lawful authority. Must pay a £115 victim surcharge and £85 costs. Committed to prison for 26 weeks suspended for two years. Edmond John Moloney, 47, of North Side, New Tupton, Chesterfield. Pleaded guilty to being drunk and disorderly in public. Fined £120 and must pay a £30 victim surcharge and £85 costs. Graham Green, 57, of No Fixed Abode. Pleaded guilty to being drunk and disorderly in public. No separate penalty. Must pay a £115 victim surcharge. Pleaded guilty to damaging a CCTV camera belonging to Chesterfield Borough Council. Pleaded guilty to using threatening behaviour. Admitted committing a further offence while subject to a one year conditional discharge for threatening behaviour. No adjudication. Dealt with for the original offence of threatening behaviour which was subject to the conditional discharge. Committed to prison for eight weeks. 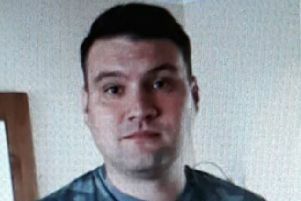 Leon James Aitken, 27, of North Side, Tupton, Chesterfield. Indicated a guilty plea to using threatening behaviour. Community order to last until October 19, 2018, with an Alcohol Treatment Requirement and a Rehabilitation Activity Requirement. Fined £50 and must pay an £85 victim surcharge and £85 costs. Justin Evans, 35, of Main Street, Shirebrook. Indicated a guilty plea to possessing a weapon adapted for the discharge of an electrical device. Must pay an £85 victim surcharge and £85 costs. Indicated a guilty plea to possessing a shotgun without a certificate. Indicated a guilty plea to having another shotgun without a certificate. Community order until April 19, 2018, with 200 hours’ unpaid work. Hayley Louise Scott, 28, of Stubbing Road, Chesterfield. Indicated a guilty plea to dishonestly failing to notify the Department for Work and Pensions of a change of circumstances affecting entitlement to Income Support in that she was living with a man as husband and wife. Must pay a £115 victim surcharge and £85 costs. Indicated a guilty plea to failing to notify Chesterfield Borough Council of a change of circumstances affecting entitlement to council tax benefit namely that she was living with a man as husband and wife otherwise than in prescribed circumstances. Indicated a guilty plea to dishonestly failing to notify Chesterfield Borough Council of a change of circumstances affecting entitlement to housing benefit in that she was living with a man as husband and wife otherwise than in prescribed circumstances. Committed to prison for 26 weeks suspended for two years with 100 hours of unpaid work. Brian John Bennett, 38, of Holmefield Road, Whitwell. Admitted failing to comply with a community order. Order varied with 155 hours of unpaid work and original Rehabilitation Activity Requirement to continue. Must pay £60 costs. Thomas Hill, 22, of Hillcrest Close, Bolsover. Admitted failing to comply with a community order in that he failed to attend with a responsible officer. Order varied with 150 hours of unpaid work and original Rehabilitation Activity Requirement to continue. Must pay £60 costs. Shane Rose, 18, of Greenhill Avenue, Ripley. Pleaded guilty to assault by beating. Restraining order to last until April 18, 2019. Must pay £120 compensation. Committed to prison for 20 weeks. Lyndsey Marie Cummings-Watkinson, 41, of No Fixed Abode. Pleaded guilty to assault by spitting. Must pay £50 compensation. Pleaded guilty to assault by attempting to bite someone’s hand. No separate penalty. Pleaded guilty to damaging a door belonging to Chesterfield Hospital Trust. No separate penalty. Pleaded guilty to a further count of assault by spitting. Must pay £50 compensation. Pleaded guilty to a further count of assault by spitting. Must pay £50 compensation. Pleaded guilty to assault by beating. Must pay £50 compensation.